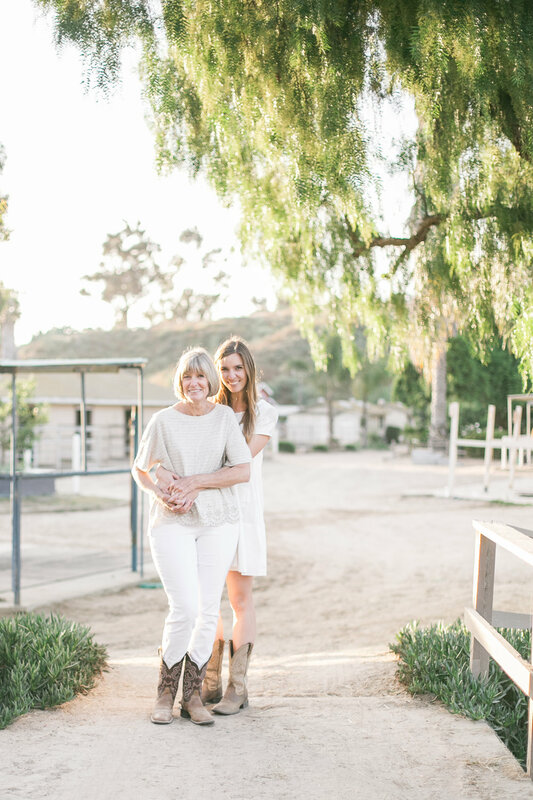 I am SOOO excited to share this sneak peak, from my session yesterday in Del Mar with Mia and her sweet Mom. These stunning ladies were so amazing and easy going, and their beautiful horse Vern was such a good boy! I started the day a bit worried since the weather report said it was going to be cloudy and potentially rain, but when it magically cleared up in the afternoon I knew that this session was going to be magical. Since it was such a special day, I had to do something extra for these sweet people. I ended up going over to my parents place (sorry mom, but I didn't take too many flowers) around the corner here in Cardiff and making some beautiful flower crowns. One with Bougainvillea and white roses, another with purple Statice and olive tree branches, and finally the one for Vernie was Hydrangea Rosemary and purple garlic flowers. And they turned out to be perfect for the session!
" You are my Sun, my moon, and all of my stars"